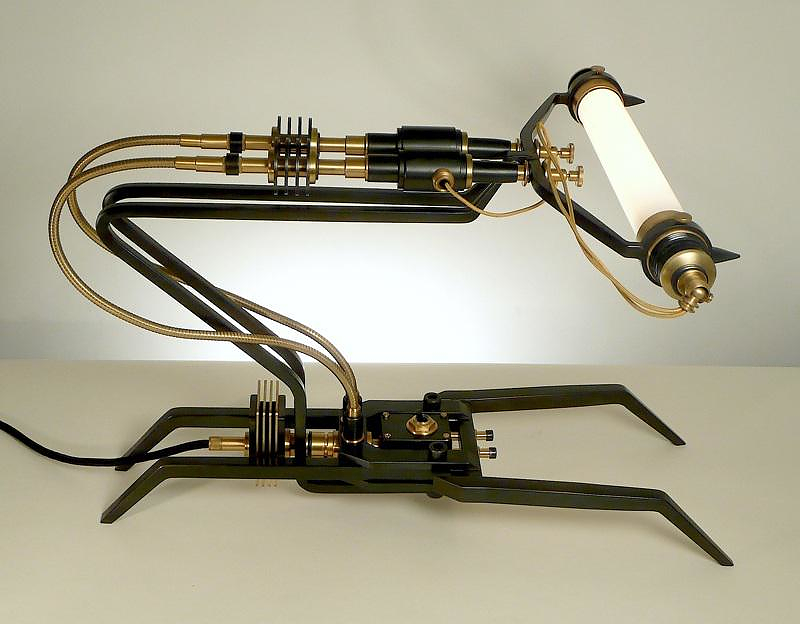 HomeBlogArtMachine Lights by Frank Buchwald. 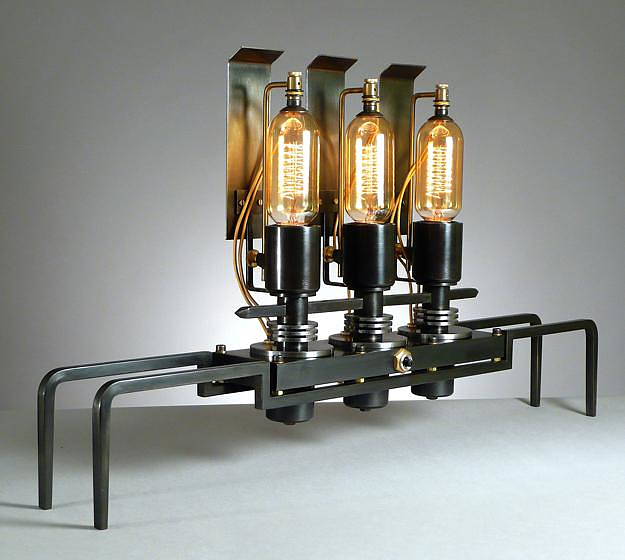 Frank Buchwald is a designer and manufacturer of furniture, lights, and objects. 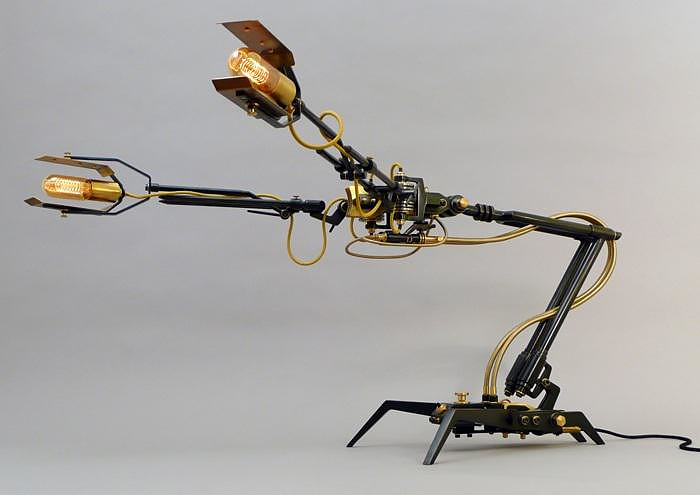 As he states, he is charmed by the characteristic shape of the machinery of the industrial era and feels an attraction for complex metal objects and machines. 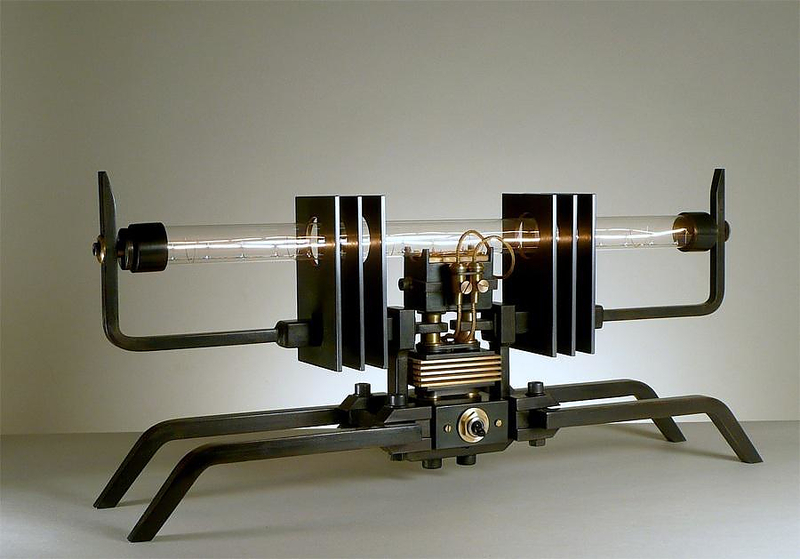 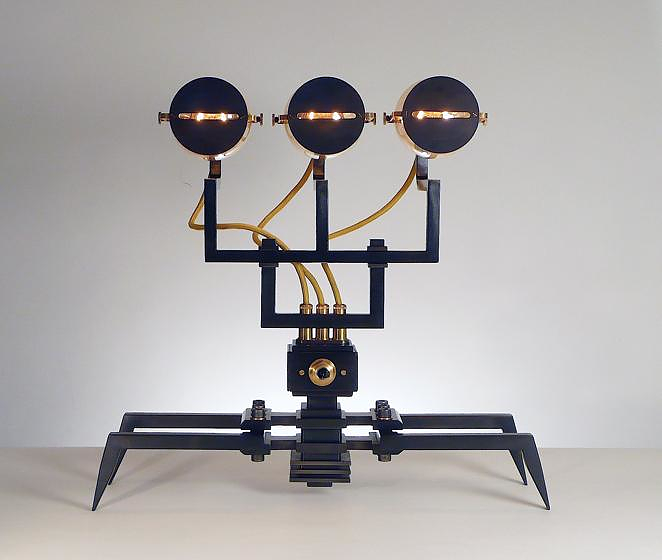 “For me, the idea of the machine lights developed over many years of dealing with the nature of modern technology, especially the mechanical artifacts of the industrial age. 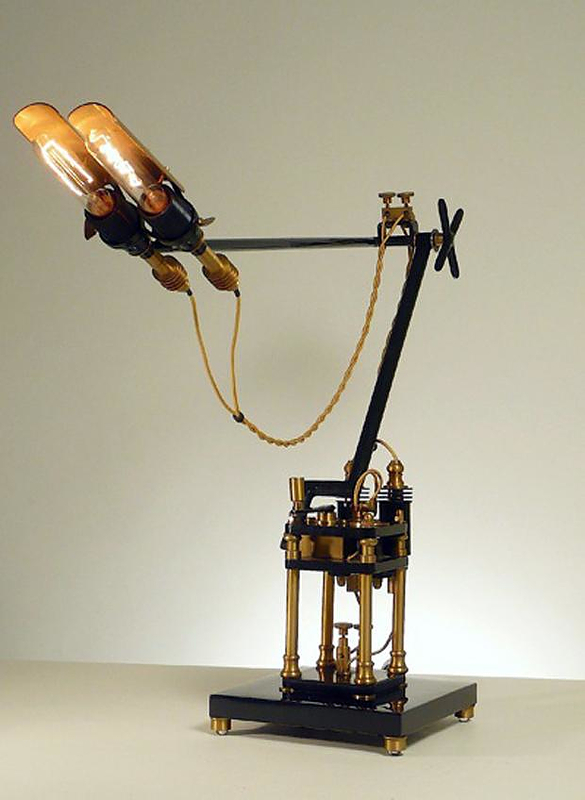 It is associated for me with the realization that an independent reality which withdraws itself from human access exists behind the manifest appearances of mechanical objects and secretly determines the world of the machines.” So it comes as no surprise that his latest creations, the “Maschinen Leuchten” lamp collection, are mechanical light sculptures with strong unique character and great complexity. 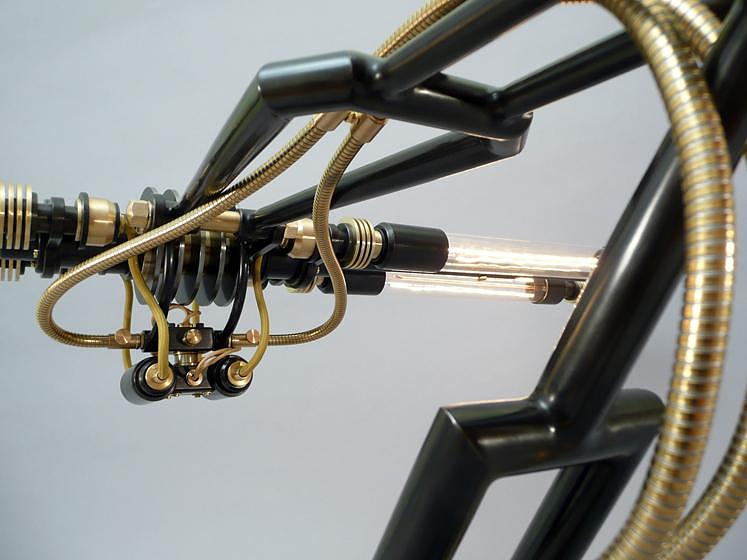 The Machine Lights resemble to complex mechanisms that come from an alternate version of the past or another world parallel to our own, which has evolved somewhat differently. 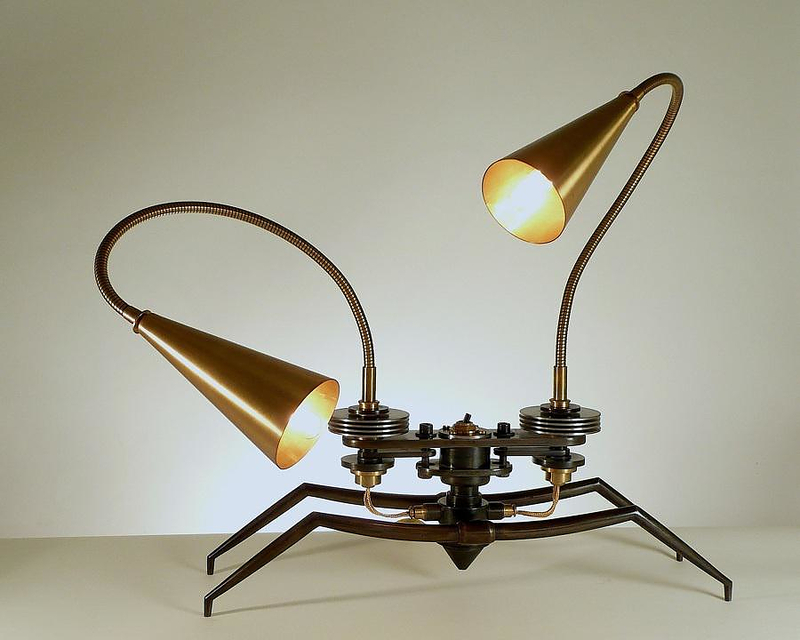 Buchward spent 10 years on designing and perfecting the manufacturing process of these lamps. 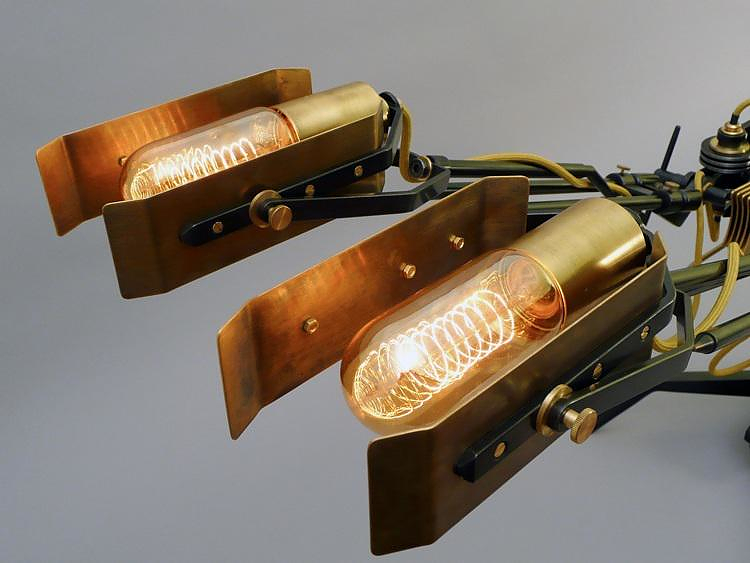 It may sound exaggerative, but if one takes into account that each lamp consists of over 200 different parts, many of which are custom made by Buchwald, the challenge is obvious. 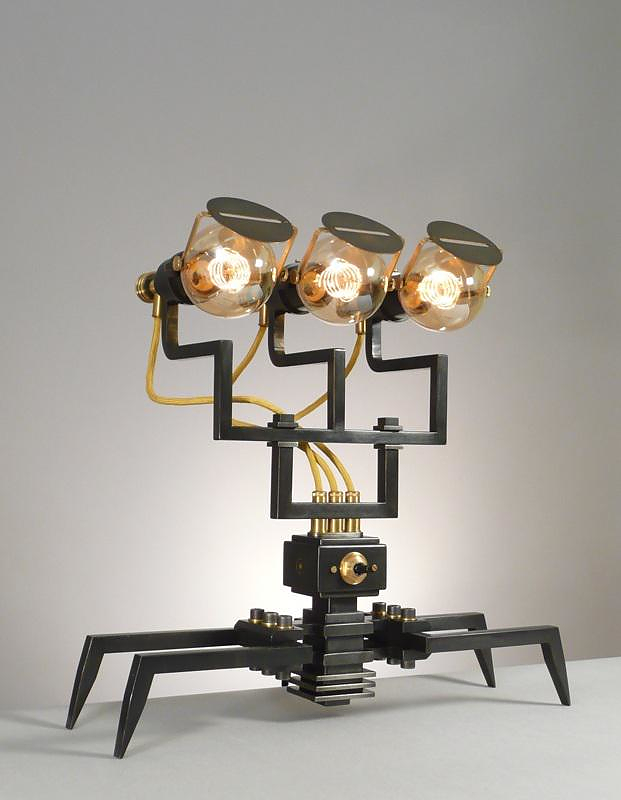 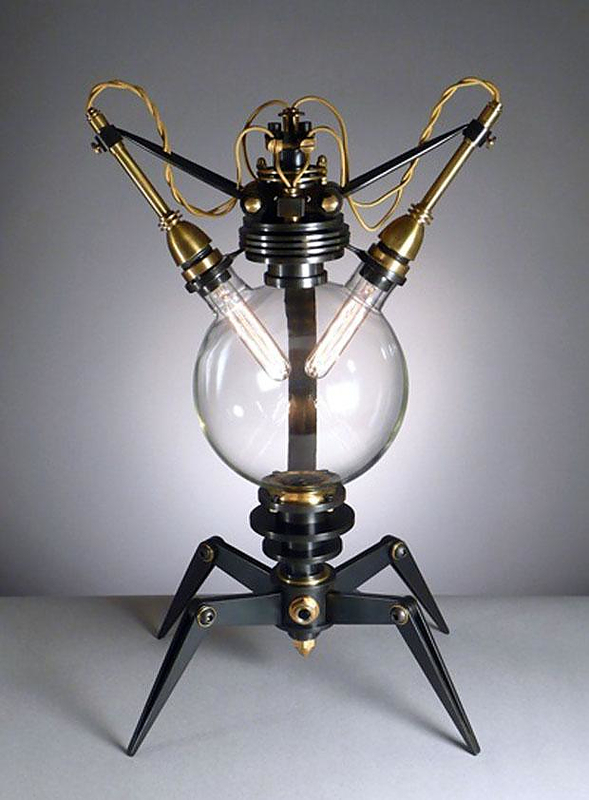 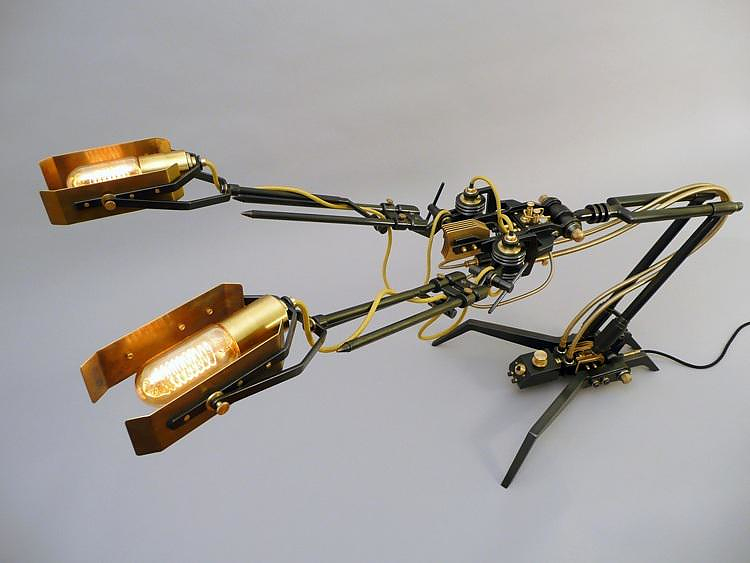 Buchwald considers his creations as “metallic creatures that have their own nature”. 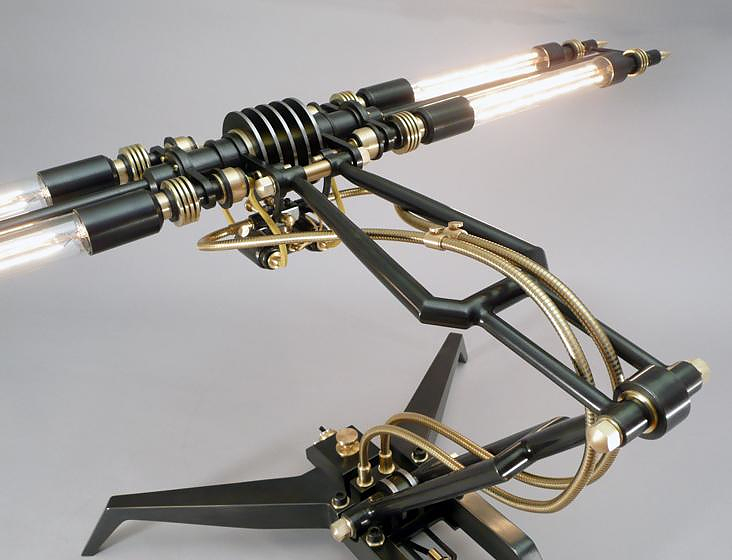 Undoubtedly, the Machine Lights are very special pieces, surely favorites amongst film and science-fiction novels lovers. 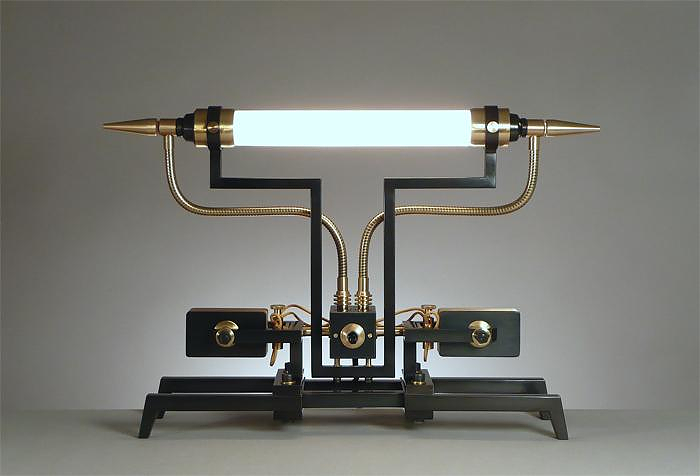 “The attentive observer will have not failed to notice that the machine lights also live from source other than from the hand of man. 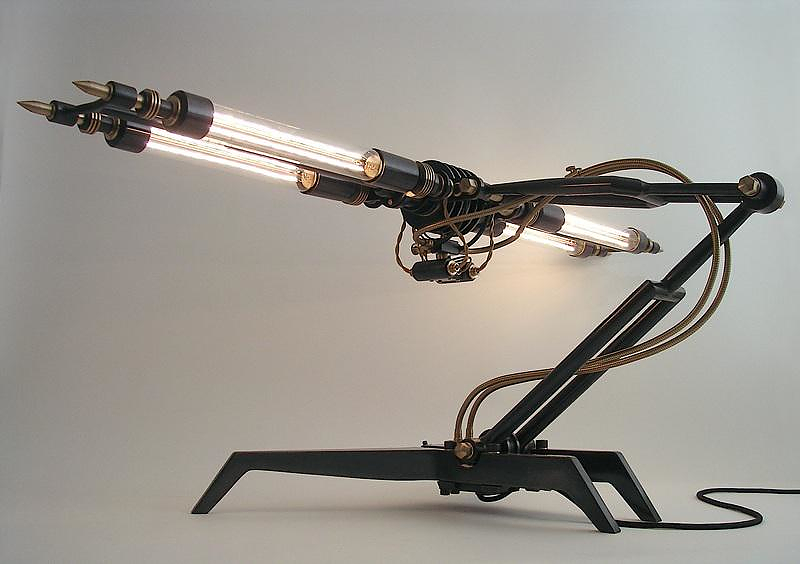 Although I have worked for over ten years on the machine lights, I do not really regard them as my own work. 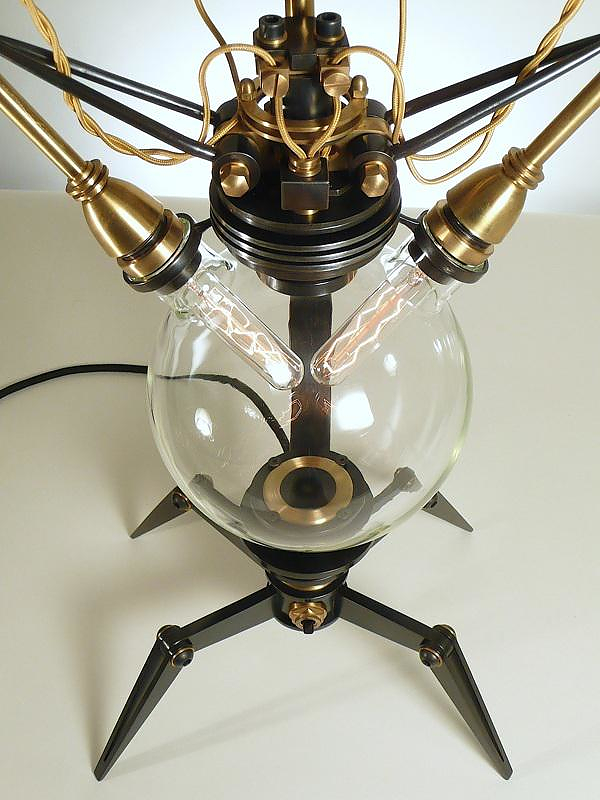 They are beings with an own nature. 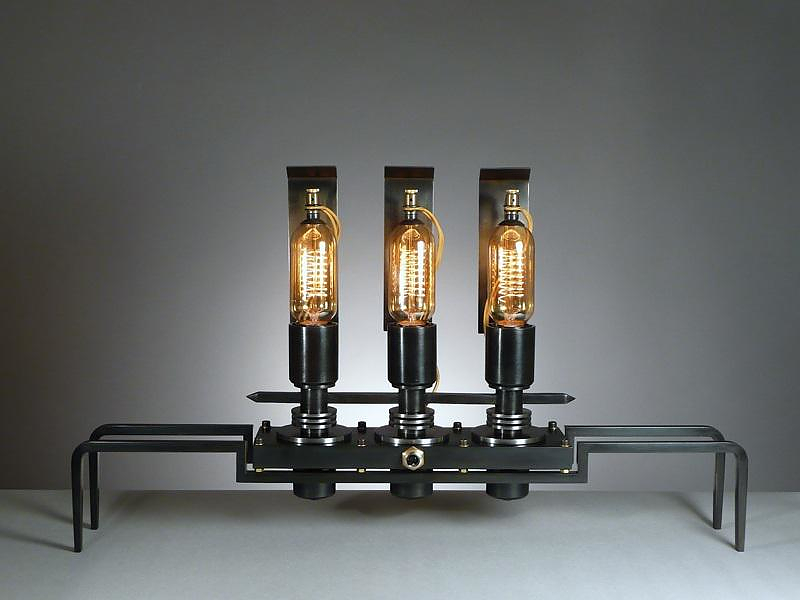 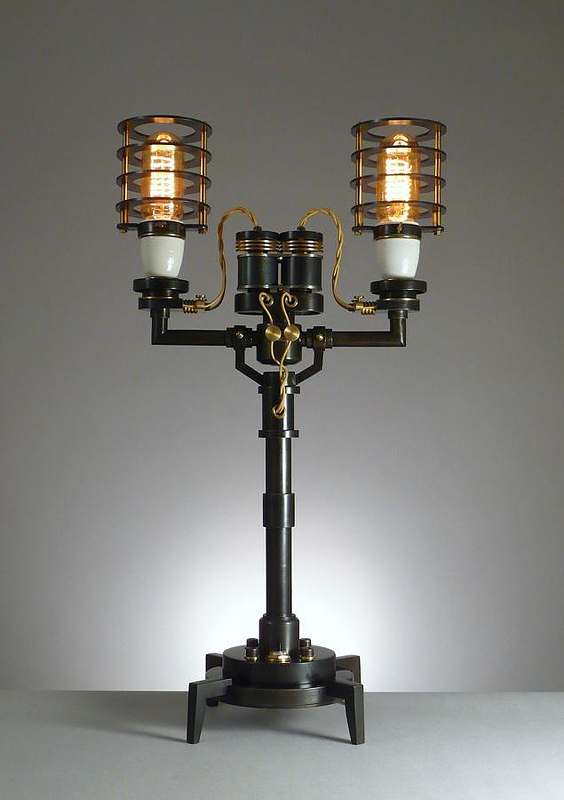 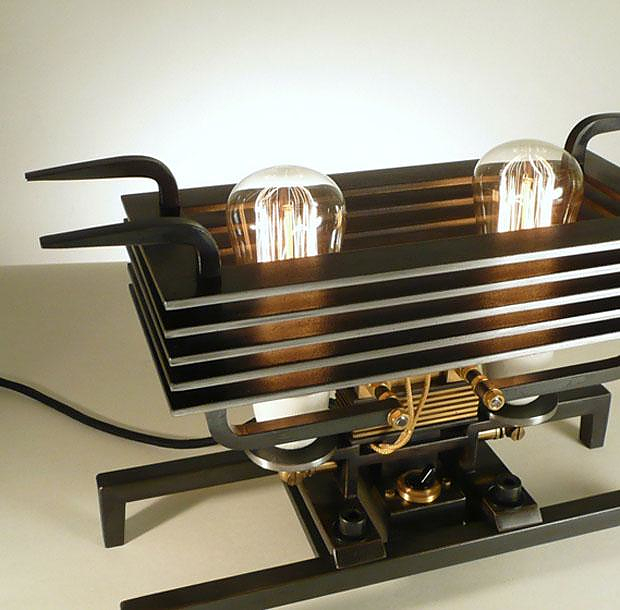 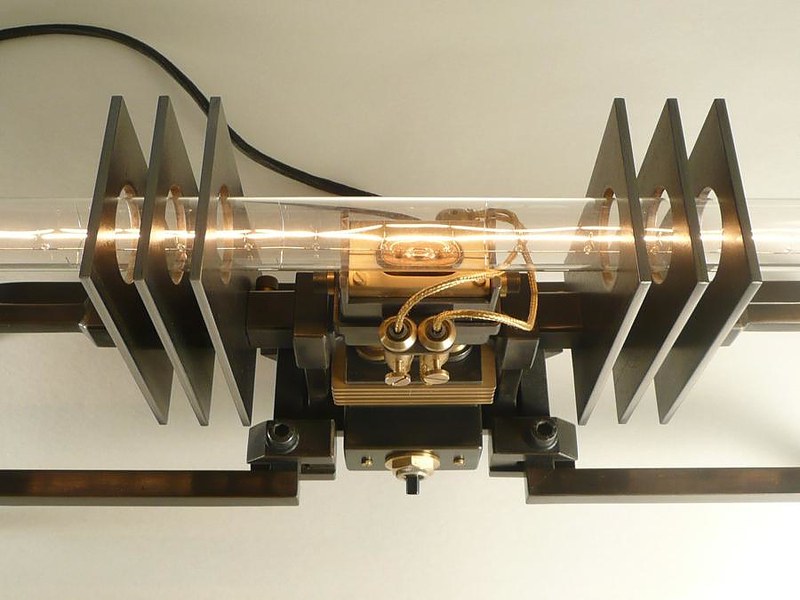 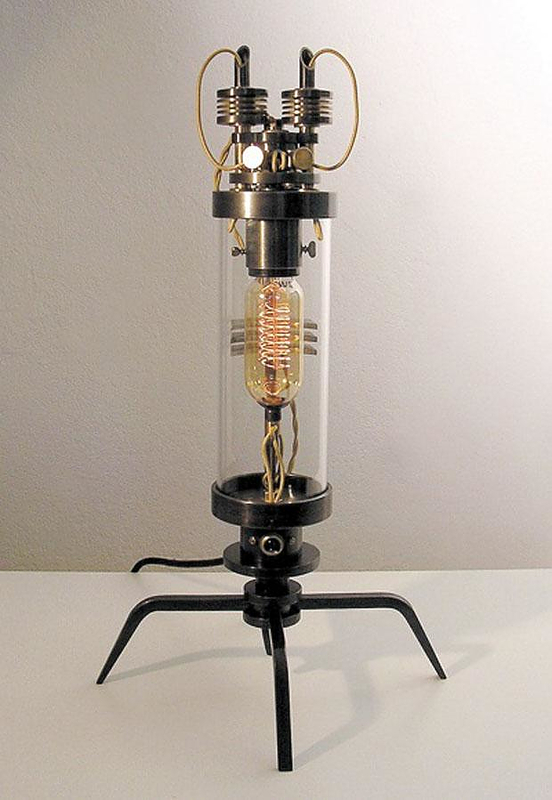 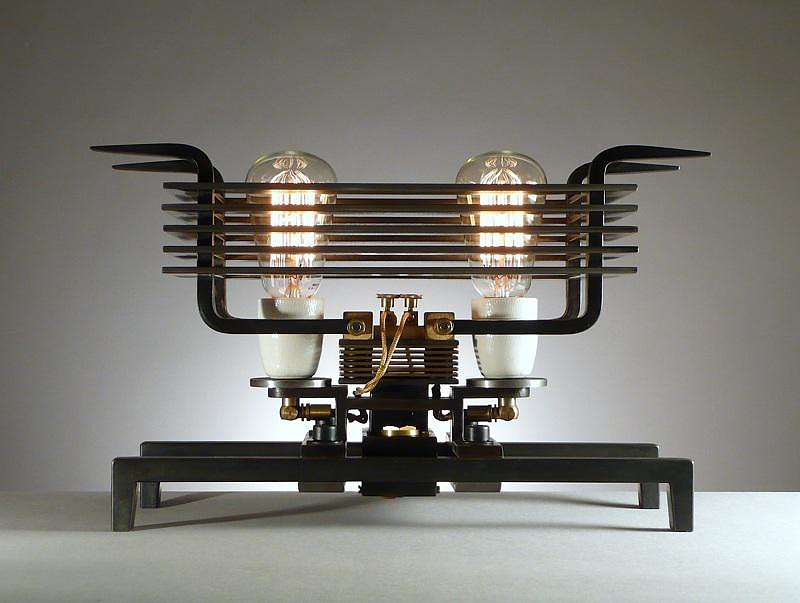 The Machine Lights are manufactured in limited editions, up to 200 pieces maximum, while some of them are utterly unique, handmade upon customer’s request. 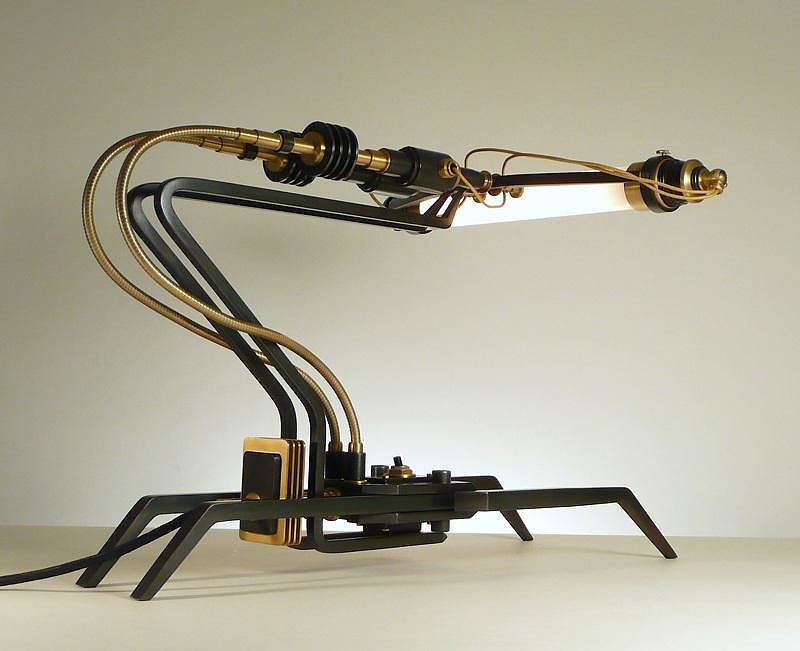 Once you order a lamp the manufacturing process lasts from 4 weeks for the simplest models and can reach a few months for the more complex ones. 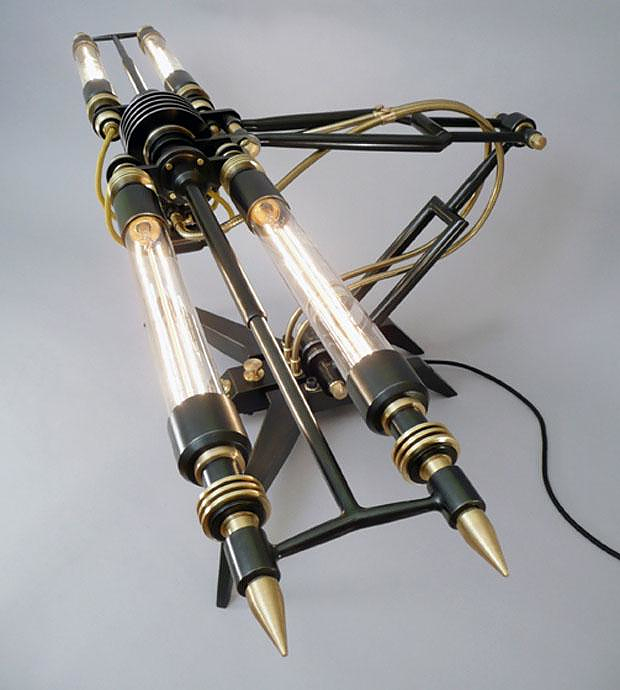 If the buyer has special requirements the artist is willing to cooperate with him and add more bulbs, arms or other items so that the metal being will gain the desired shape. 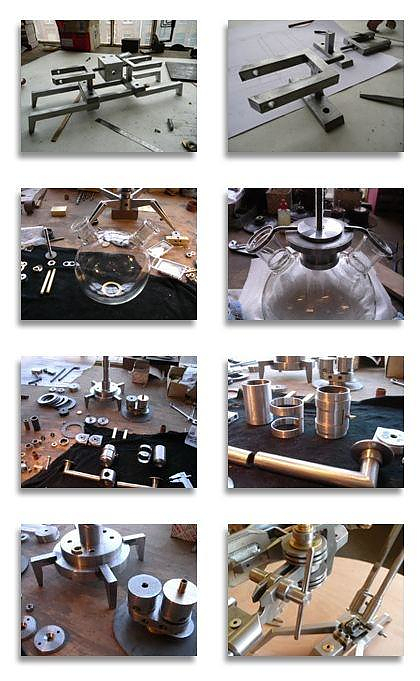 Prices for 12 predesigned models range from 2,000 to 10,000 euros depending on the model.